With Valentine's Day just around the corner, it's the perfect time to review this wonderful florist called Floral Garage Singapore. Just a few days ago they sent a gift for Gabrielle. I figured why get her a bouquet of flowers when a terrarium would be a personal and fun project that we can both work on together. There's so much meaning to a gift when two people in love put their heart and soul into creating something amazing. And in this box was a lot of items for the terrarium. 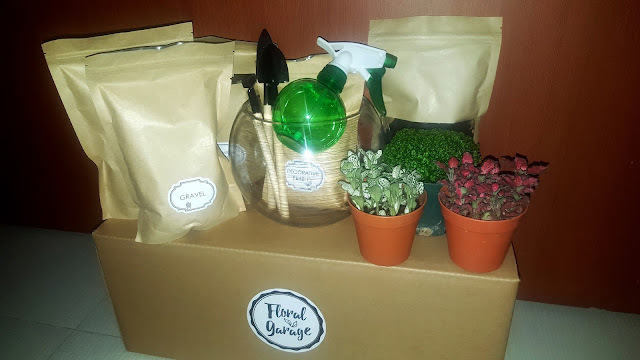 Gravel, decorative pebbles, charcoal, a spray bottle, a pack of premium terrarium mix and plants of course. 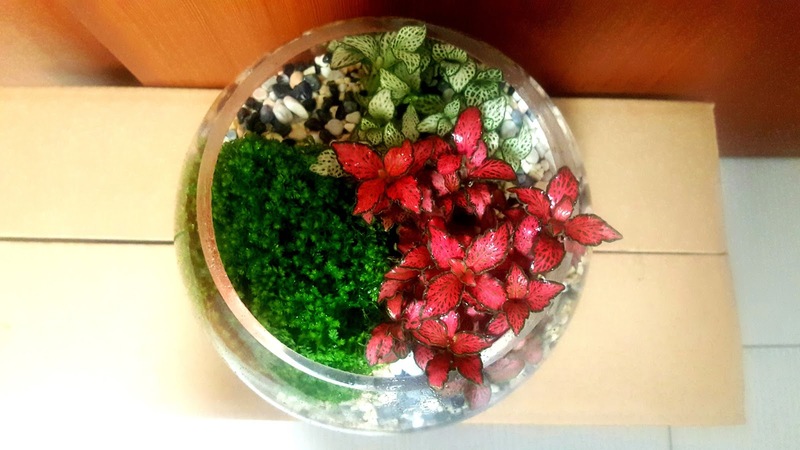 This DIY Terrarium Kit retails for $71.92 on their website. They even provided these cute little gardening tools you see in the glass bowl. So after 45 minutes or so, we were done with Gabrielle's terrarium! I think it's pretty! 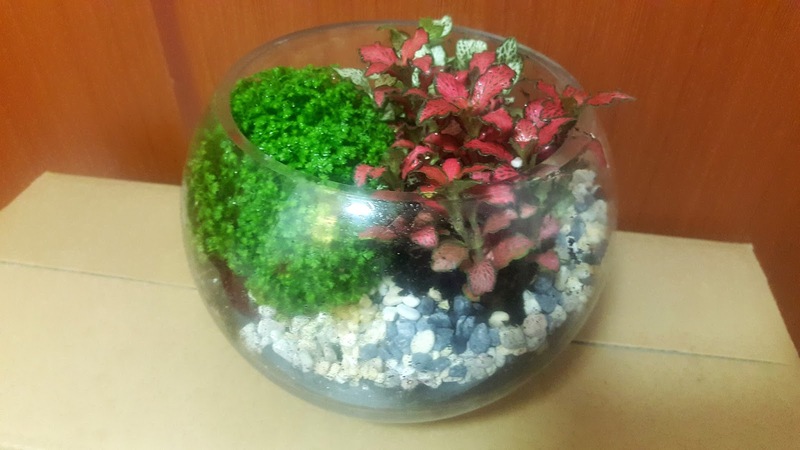 Wanna order a terrarium for that special someone? Perhaps a bouquet of flowers or even a hamper? 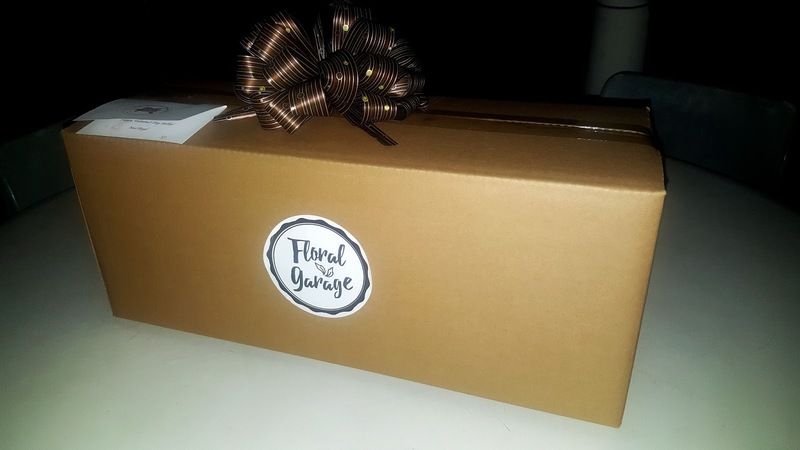 Floral Garage Singapore has a special domain just for Valentine's Day. Visit http://valentines.floralgaragesg.com/ to shop now! Shoutout: Thank you so much Chesna Chin from Floral Garage Singapore! Gabrielle and I had a lot of fun constructing the terrarium and we got her mom to help out as well. Gong Xi Fa Cai in advance and Happy Valentine's Day from all of us!